Did you know the average down payment assistance benefit is more than $8,000? That could be a major jump start to buying your first (or next!) home. And, who wouldn’t want a boost to their down payment savings? Homeownership programs can help you get into a house much more quickly and give you a valuable cash cushion for those other expenses, like the home inspection and home repairs. You could save to save on your down payment and closing costs, or even get ongoing tax credits. BUT, WHO QUALIFIES FOR DOWN PAYMENT ASSISTANCE? First, it’s important to know that there are actually two components—both you and the home you are buying must meet certain criteria, which vary by program. 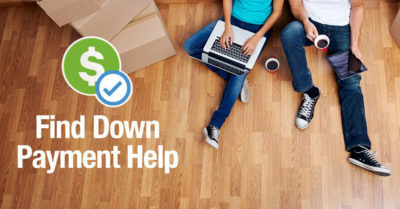 Richmond Region Realty’s Down Payment Assistance program search gives you the opportunity to answer a few simple questions to determine if you (and the home you want to buy) may meet the basic qualifications for a program. WHAT ARE THE CRITERIA FOR THE BUYER? Family finances matter. There are household income thresholds, credit score minimums, and cash reserve requirements. Income thresholds are based on the area median income—up to 120 percent in high-cost markets. Income limits are almost always based on household size, so limits for a family of five are significantly higher than for a single person. Most down payment assistance programs will require some money down from the home buyer, as well as homebuyer education, especially for first-time home buyers, to ensure your long-term homeownership success. First-time homebuyer status. Many down payment assistance programs are designed for first-time home buyers. But, keep in mind that first-time home buyers are defined as someone who has not owned a home in three years, so if you’ve been renting for the past four years, you’re a first-time home buyer again! But, not all programs are reserved for first-timers—about 37 percent of programs in Down Payment Assistance don’t include that requirement. Your profession may give you an edge. More than 14 percent of down payment assistance programs are designed for individuals providing an important community service, including educators, protectors, health care workers and veterans. Especially helpful in high-cost markets, the programs help workers live in the community they serve. Must be your primary residence. Investors need not apply. Most housing agencies will require that the home is occupied as a primary residence in order to qualify. Down Payment Assistance programs are eligible for single-family homes, townhomes and condos. Some multifamily properties are allowed if the buyer is also an owner occupant. Home sales price. The home sales price criteria for down payment assistance programs are typically set based on a percentage of the area median home price. This means the home price limit can go from $250,000 up to well over 700,000 in certain high-cost markets. Programs available everywhere. Many home buyers mistakenly believe down payment assistance programs are available only in a very narrow area. In fact, programs are available in every community across the country and often for homes at price ranges above the median sales price for a given area. Different areas qualify for different programs. Down Payment Assistance allows for search by city, county, and neighborhood to help focus your opportunities. Bottom line: The down payment assistance criteria can vary greatly so investigate the options for your personal situation.